Food and beverage companies do business in a complex, global supply chain. When it comes to the need to consume fresh, accurate business reports to fuel management level decisions, or to share data with stakeholders in a supply chain, there’s no shortage of solutions. In the 21st century there is an abundance of food business technology to choose from. The principle challenge is no longer a lack of available software or technologies to manage inventory and trace products throughout one’s supply chain. Instead, it’s finding the right technology solution to reconciling the business data obtained by these systems for a single version of the truth while positioning your company to leverage future industry trends. When Early Success Is Stunted by Growth Challenges. Software and business process that can’t easily communicate with each other in a common challenge. 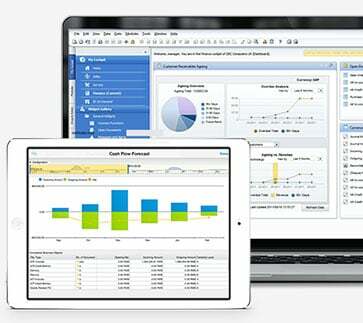 In the short run, many businesses use manual data integration to keep their business running. This means that information passes from one system to the next using paper forms and printouts while employees manually rekey information into the next system; be it closing inventory for the day into an accounting system, or customer orders sent to fulfillment. Take for instance Vision33 customer Intermex Foods, a wholesaler of pasta and cookie products. The company, like many small to midsized enterprises (SMEs) was facing fast-growth. So much so, that they couldn’t come up for air to assess how the business technologies they were using were actually limiting the company from measuring performance. How to Overcome Business Growth Challenges and Anticipate the Top Manufacturing Operations Trends. For growing food and beverage manufacturers it’s important to recognize these communication challenges amidst the broader context of industry trends - like food safety, traceability, industry compliance. To the business that addresses their own internal growth challenges while aligning their business management solution to be ready, be agile to take advantage of industry trends, there is boundless opportunity to win out against completion, facilitate greater interactions throughout the supply chain with business partners, and respond to shifting customer preferences. The key to keeping pace with the advancement of technology is adopting a solution that enables food and beverage manufacturers to be more transparent, achieve greater efficiency, and visibility into their supply chain. Do you identify with the challenges that faced Vision33 customer Intermex Foods? If you’re looking to consolidate your business’ backend into an integrated solution, then we invite you to read the latest eBook from Vision33. 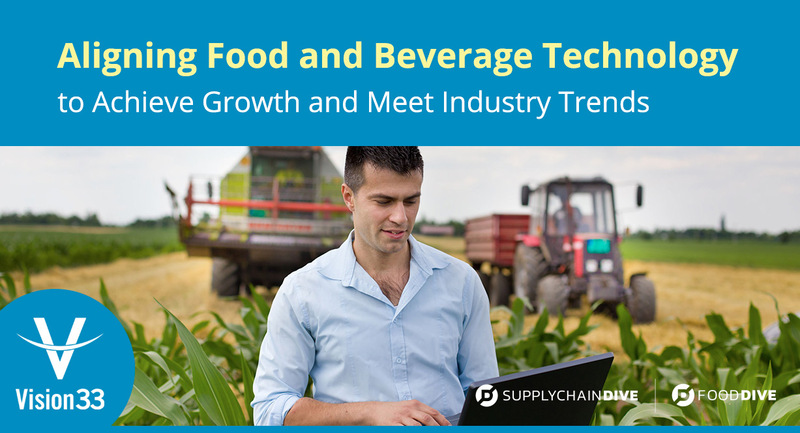 Learn more about food and beverage manufacturer trends and how you can better align business management technology to meet them head-on. Read Food Business Tech Readiness Sets Stage for Meeting Future Trends.